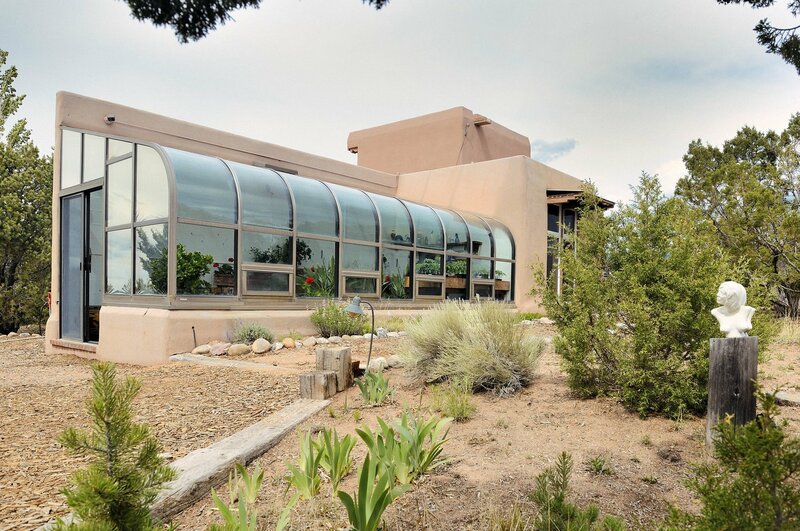 A rare opportunity to purchase a prestigious 20 acre estate on Tano Road! 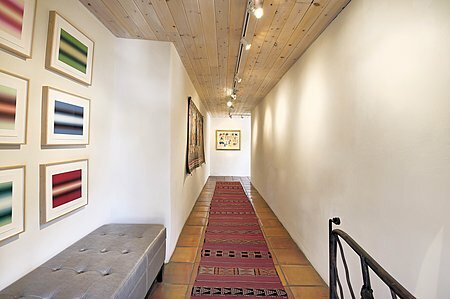 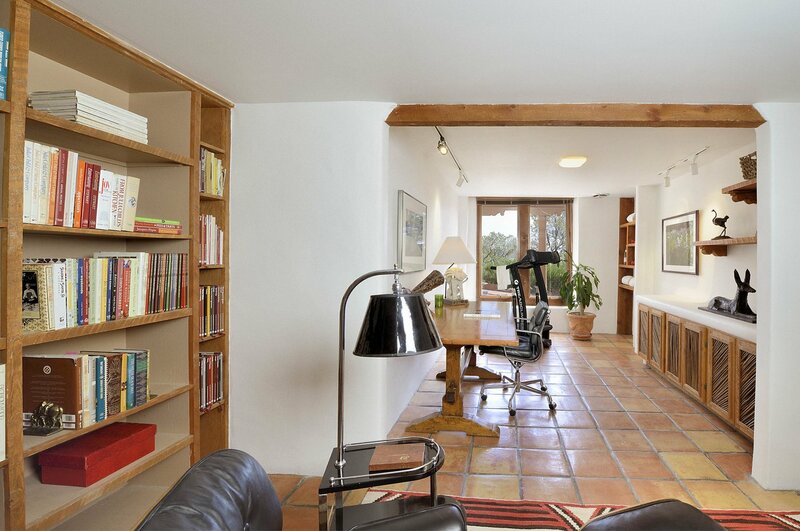 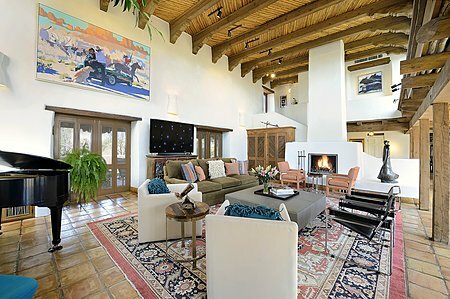 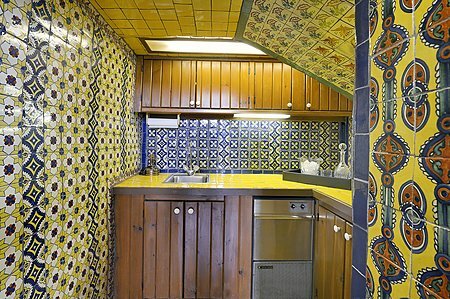 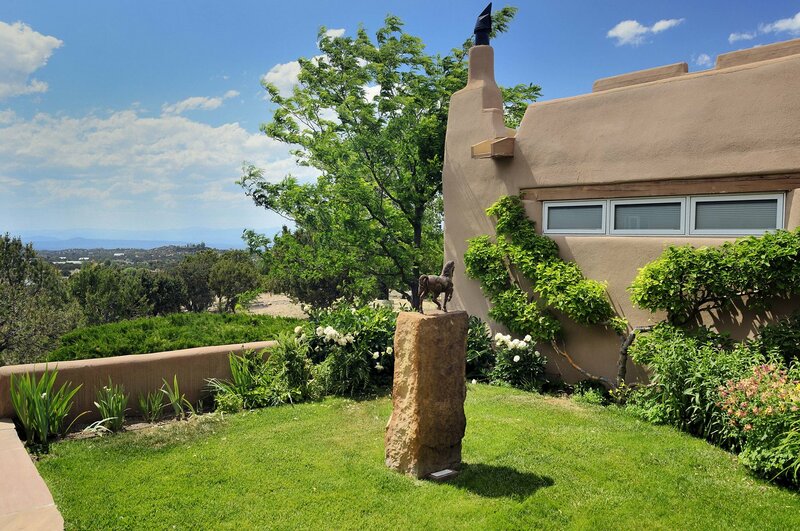 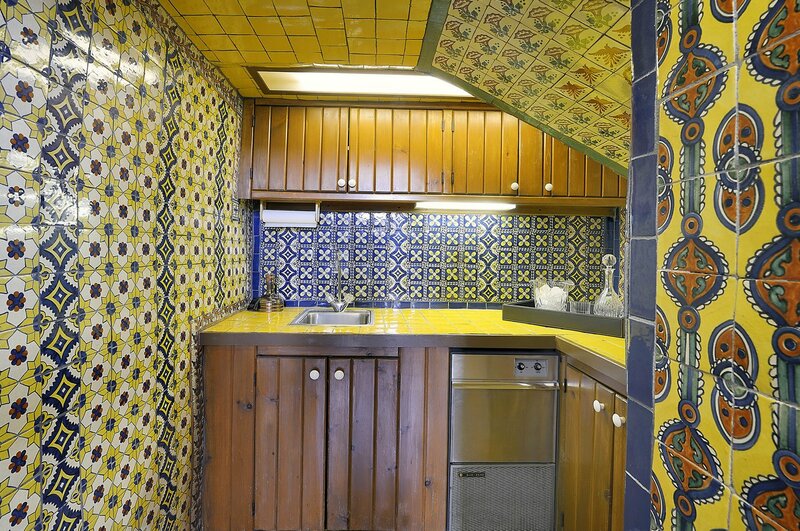 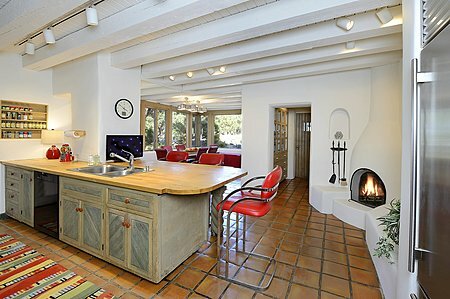 This extraordinary compound includes an approximate 7,000 square foot adobe main house, a separate guest house/office/ library building, an artist studio, a greenhouse, an additional garage building, a large storage building, and a separate wine cellar. 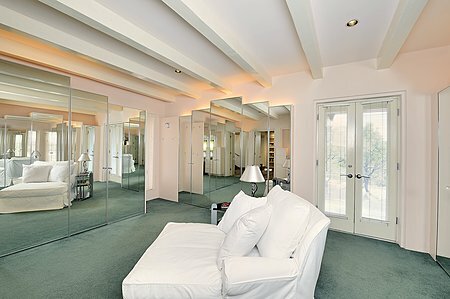 Two master suites on either end of the grand living area afford total privacy. 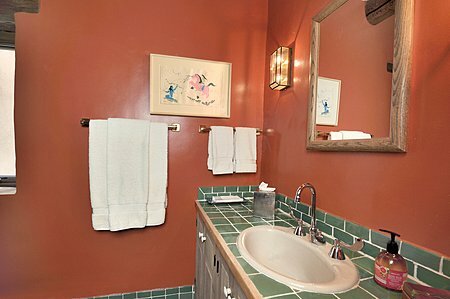 The east wing's secluded guest suite is equipped with a separate drive up entrance, a renovated bathroom, and walk-in closets. 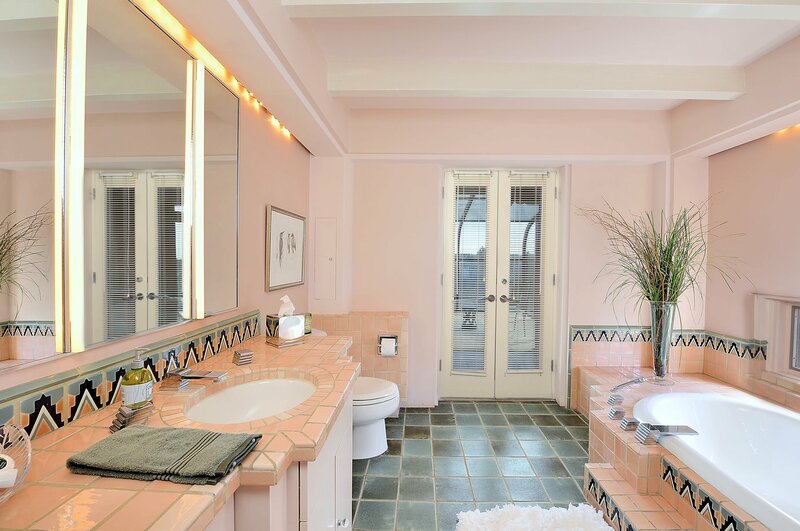 The west wing's master suite-- on two levels--with his and her bathrooms, dressing rooms and closets, and a luxurious art-deco inspired boudoir with mirrored closets and built-ins. 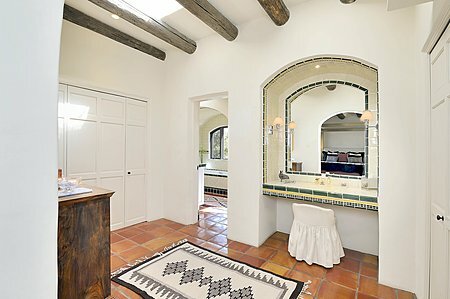 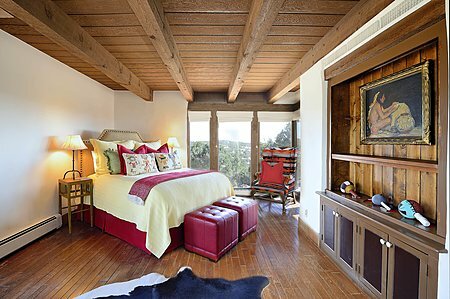 Throughout the main house 6 fireplaces, bancos, latillas, corbels and hand-painted tiles channel old-world New Mexican charm. An additional loft bedroom located above the living room, a dining room, kitchen with dining area and a large chef's pantry complete the well-appointed main house. The freestanding presidential quality library (and office) is equipped to house 10,000 books on two levels, the second level accessed by a spiral staircase. 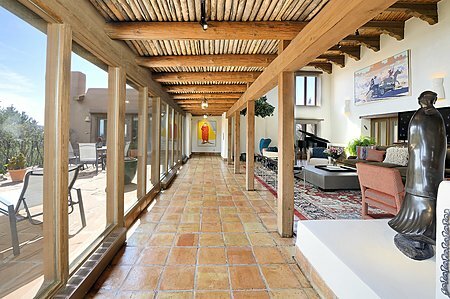 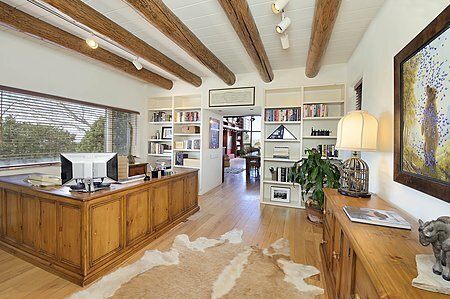 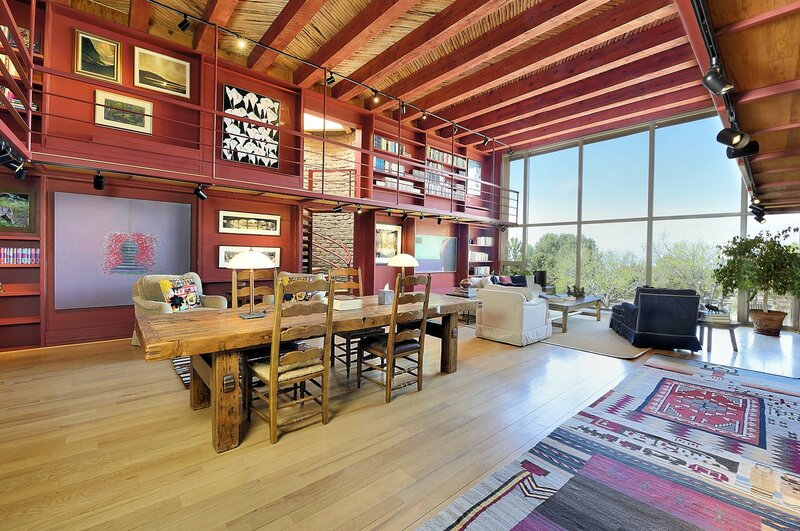 With 20-foot floor to ceiling windows looking out over the property towards the mountains, the library is the highlight of this peaceful light-filled retreat. 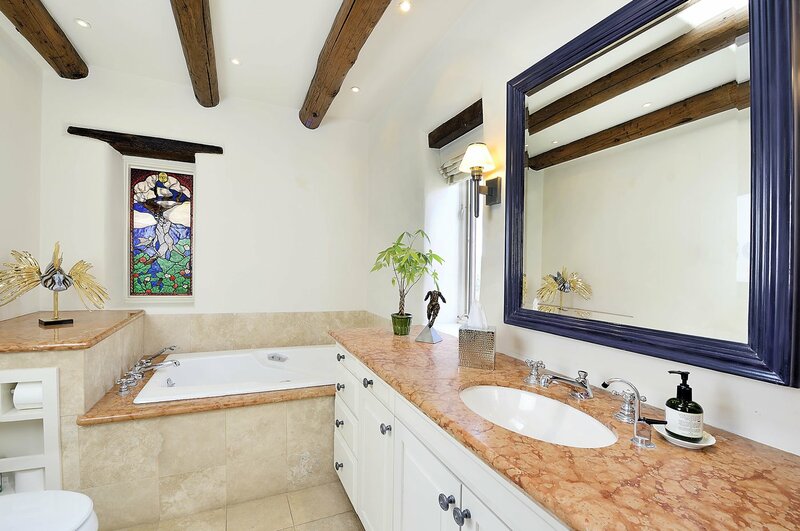 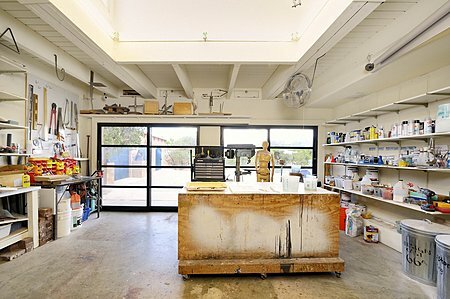 The estate includes a well-appointed art studio with separate bathroom. 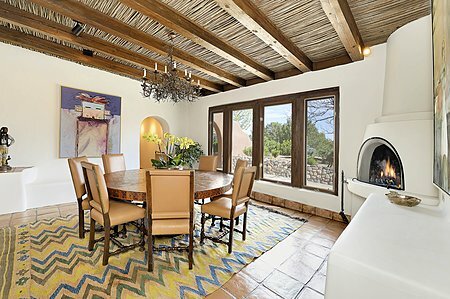 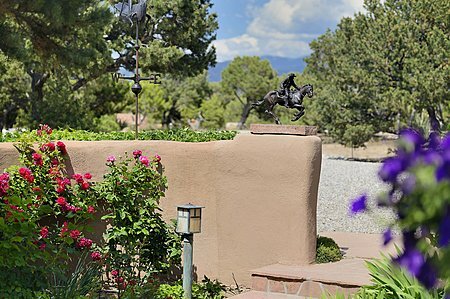 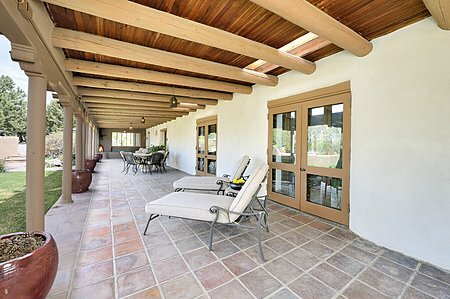 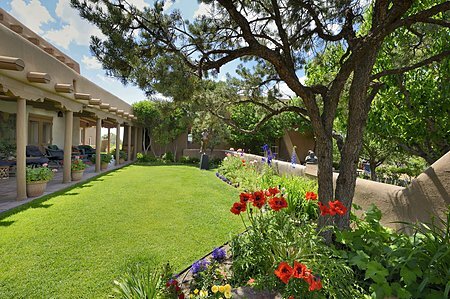 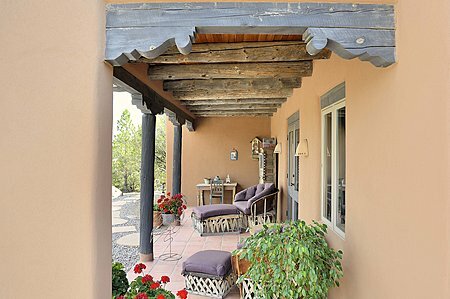 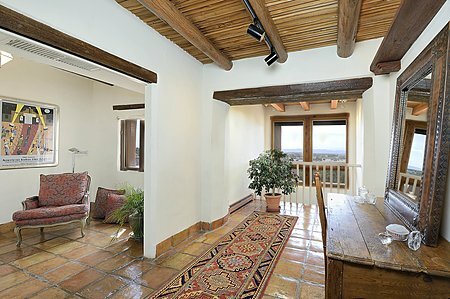 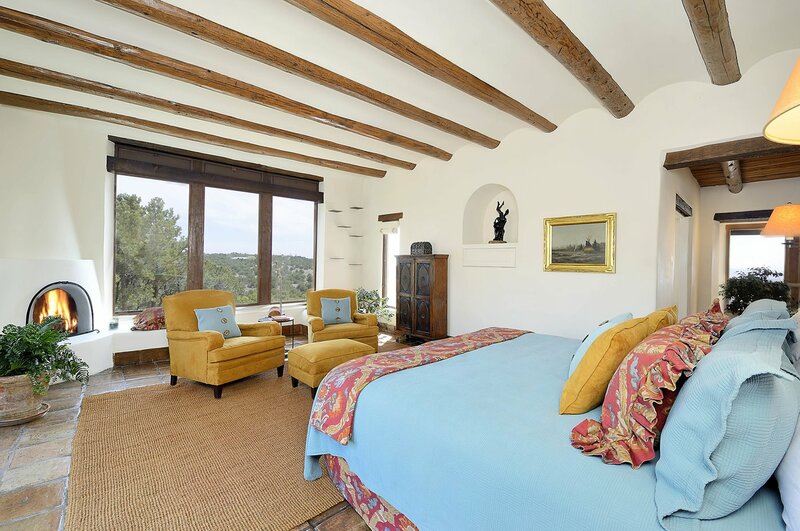 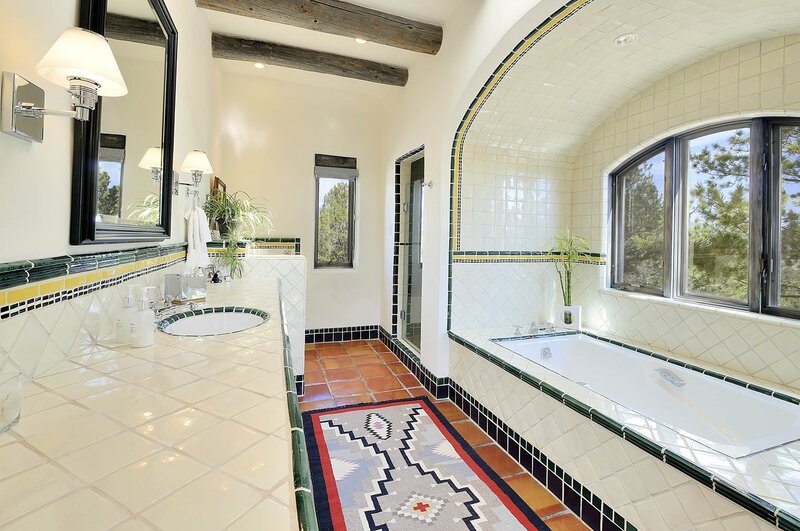 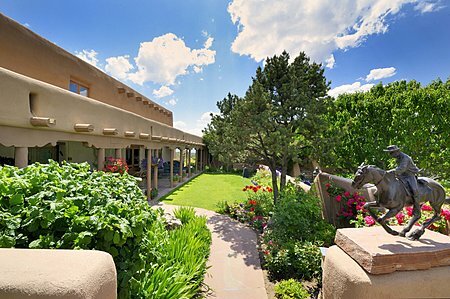 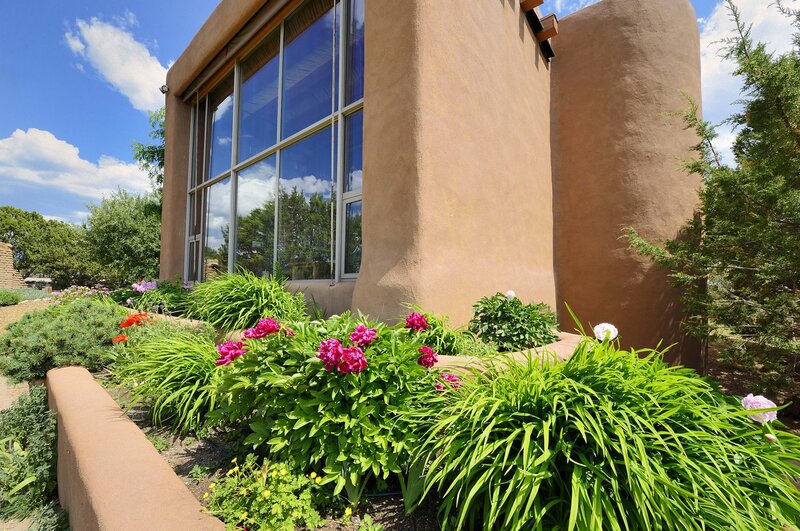 Don't miss this opportunity to own a compound on Tano Road and create a Santa Fe legacy property.